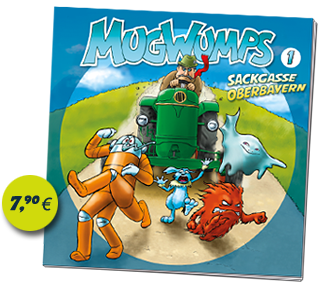 This is our first comic: "Mugwumps"
It is written, pencilled, inked and colored by Tina and me. 32 pages, full color, no advertisements. 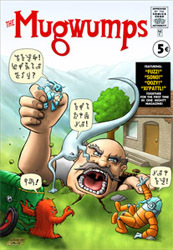 If you like to see more, check out our Mugwumps website! 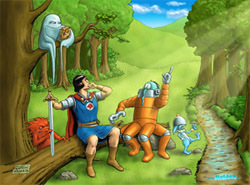 We also have some limited prints as homages with our characters. 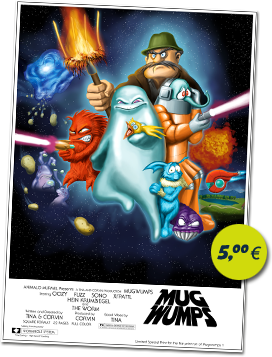 They are available only with the comic for €5 each.